UPDATE TO ALL: THE SWIMMING BAN HAS NOW BEEN EXTENDED THROUGHOUT TODAY (AUG 1st) UNTIL 8 p.m. Yesterday, lifeguards requested beaches in Myrtle Beach closed temporarily because of high numbers of jellyfish stings experienced by swimmers. Lifeguards in Myrtle Beach were asking swimmers to stay out of the ocean waters inside the city limits of Myrtle Beach. The National Weather Service in Wilmington, N.C. stated “the lifeguards at Myrtle Beach are reporting numerous jellyfish near shore and are advising beach goers to stay out of the water.” The swimming ban was in effect until 8 p.m, July 31st. 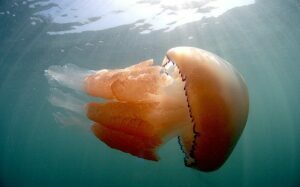 Reports of Jellyfish stings were discussed across local social media. 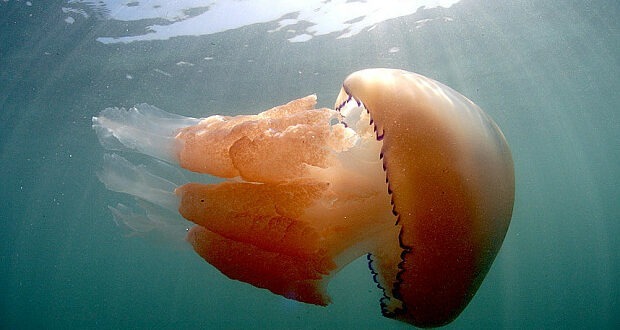 The Virginia Institute of Marine Science (VIMS) showed that jellyfish also have a more significant impact, drastically altering marine food webs by shunting food energy from fish toward bacteria. The study was lead by VIMS Ph.D. graduate Rob Condon—now a faculty member at the Dauphin Island Sea Lab (DISL) in Alabama. The Institute of Marine Science report stated that a host of factors, including climate change, over-harvesting of fish, fertilizer runoff, storm water runoff, and habitat modifications could be what is causing a current increase in jellyfish blooms worldwide. 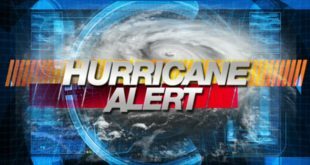 MyrtleBeachSC.com has reported ongoing about storm water runoff issues inside the city limits of Myrtle Beach. 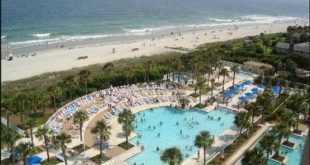 While the lifeguards requested the beaches in Myrtle Beach closed temporarily, beach swimmers were simply advised to stay out of the waters. Unlike most beaches in America, rarely are the beaches in Myrtle Beach closed. Even when bacteria spikes reached levels of 4,000 over the past few weeks, officials refused to request sections of Myrtle Beach closed. 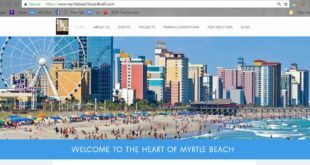 Local leaders believe having beaches in Myrtle Beach closed frightens potential visitors and makes for poor public relations.